Milk for Babes and Meat for Strong Men is the (much redacted) title of a religious treatise published posthumously in 1661 on behalf of the early English Quaker leader James Nayler. Later, in The Theosophist, Vol. III, No. 7, Supplement to April, 1882, Helena Blavatsky presented an essay titled “Milk for Babes and Strong Meat for Men.” Both titles appear to be condensations of the biblical text of 1 Corinthians Chapter 3, alluding to the fact that “babes of the flesh” are unprepared to receive spiritual truths and can’t properly digest them, “for that were to kill them rather than to nourish them.” For her part, Blavatsky was lamenting the fact that the content of The Theosophist was obviously too abstruse for the average reader. WordPress recently posted advice for bloggers suggesting that one way to reach more viewers is to make the purpose of one’s blog perfectly clear. In looking over my home page, I realized that I never provided a clearly stated purpose for my work here. 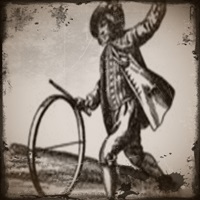 As a student and practitioner of divination – primarily tarot and astrology – in a spiritual backwater of New England for the last 46 years, I’ve often regretted the fact that there are few kindred souls locally with whom to explore the deeper aspects of such pursuits. For a time the various online forums offered an outlet for this discussion, but they ultimately proved too superficial for my needs since so many of the more learned and articulate thinkers dropped out. My efforts to form study groups and “meet-up” initiatives fell flat as well. Although I have to pay for the privilege, I decided to start this blog as a perch from which to survey the field of divination and offer my personal observations on the more interesting things I’ve discovered over the years. I never intended to make this a breezy, “pop-oriented” platform for the total novice (no “card-of-the-day” learning routine, no psychological snapshots of the rich-and-famous, little or no flippant cultural and social commentary). Although I offer a certain amount of beginner’s material, all of it comes with understated hooks that tie it at least loosely to the more abstract principles of occult erudition. If you follow me, hopefully it is because you are stimulated by the more profound insights I’ve drawn from my various sources (or maybe because of my large inventory of self-made tarot and Lenormand spreads). Except for my firm belief that divination is a truly worthwhile enterprise, I don’t hold too many of them near-and-dear. Most of what I offer is simply “grist for the mill” of intellectual inquiry into the teeming metaphysical vastness that lies outside the borders of conventional philosophy and theology. WordPress previously advised that another way to attract and keep viewers is to post regularly. Since the present installment is my 690th post in the last 490 days, I know I’ve met that target. For those with the diligence to dig it out, there is a lot to absorb in the archives. Happy digging! Yes, there is a lot to digest… and I’m insatiable. Thank you for your dedication. I’m very curious about your as self portrait. I would love to see the cards in details, unfortunately the picture is too small. Did you write an article about it on this blog? This one is slightly bigger but you may still not recognize all of the cards. I used the Thoth, the Magickal Tarot and the Liber T, Tarot of Stars Eternal, if I recall correctly.